First of all, Google should stop with this crazy Nexus suffix convention. It’s just annoying and confusing. The number designation behind the nexus name should be a descriptor for the size of the screen. And it should be accurate within ±0.5” of the designated number. For example, Nexus 6 screen size should be between 5.5” and 6.5”. For every new release of the model, the name should not change like 6P and 5X. It doesn’t make sense. 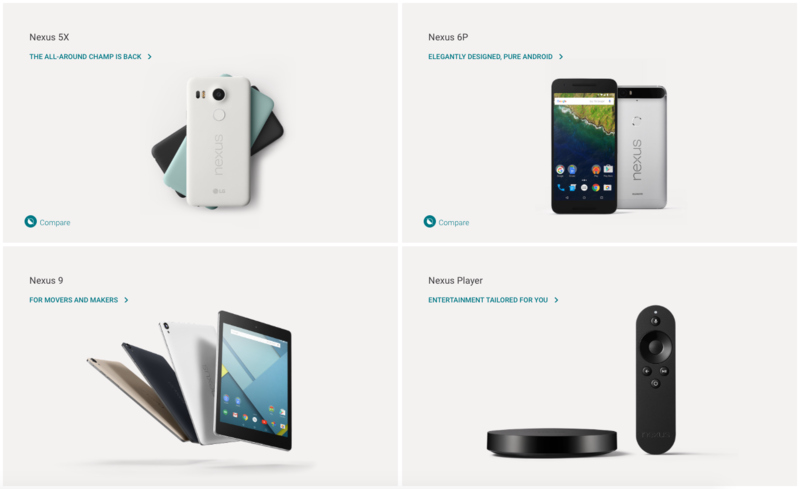 People will refer to them as Nexus 6 2014 and Nexus 6 2015. Google can update half the lineup every 2 years. And they should always be premium showcase devices at reasonable prices. There should be 2 devices within the phone lineup: Nexus 4 & Nexus 5. Yes, Nexus 4 should make a comeback. Some people actually like the 4” screen. If iPhone SE sells well, we should see a Nexus 4 return. Then, there should be 2 devices within the phablet lineup: Nexus 6 & Nexus 7. Isn’t 7” too big for a phone? Like the 4”, some people like it. A good 7” device fits in a back pocket of a jean anyways. It’ll work. People will be free to use it just as a tablet as well, if they like. The tablet lineup should have 4 devices with pen input capabilities and keyboard attachments. The four sizes should be Nexus 8, Nexus 10, Nexus 12, Nexus 24. What? 24” tablet? Yes. We are going to stick that 24” tablet on our fridges, our desks, our bathrooms, and our offices. And I love the idea of the 1:√2 screen ratio like the A paper standards. Oh, Google, please feel free to switch to a metric Nexus system as well. However, it would limit the flexibility of the screen size a bit more, within ±0.9cm.